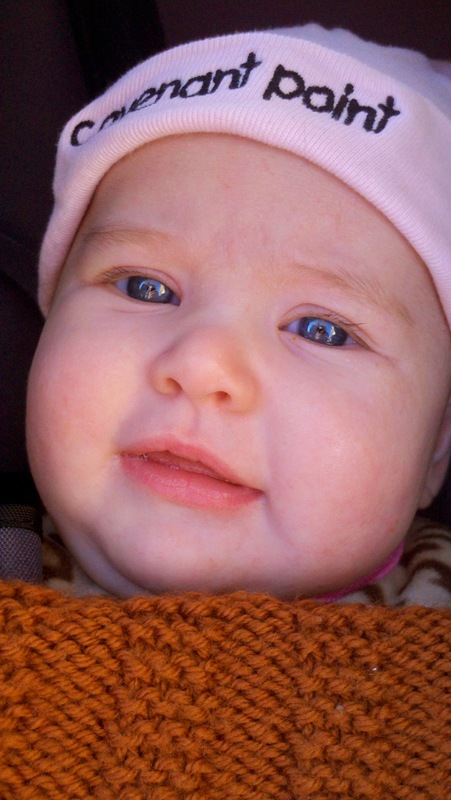 Johanna Marie Frisk, was born to David and Ann Marie Frisk on October 19, 2011 weighing 8lbs 3oz. She is 11 weeks old in the picture below! David served on staff for a number of years as our “techno-genius” and continues to give generously of his time and talent to provide camp with things like online registration, and website administration. He also gets us out of techno trouble that we can’t handle ourselves! We are very thankful for the Frisks and look forward to Johanna growing up in the loving community of Covenant Point! This entry was posted on January 8, 2012. It was filed under Staff, Uncategorized.